The property comprises a fairly level and roughly square shaped site which lies to the north of The Rutherglen Centre and Seaway Parade. The estate road network has been constructed to adoptable standards and two high profile Business Units have been constructed on the Energy Park to the west of the subject site. Location: The site is situated in Baglan, midway between Port Talbot and Neath on the M4 corridor in South West Wales. Communications are via J41 & 42 of the M4 motorway and the A48(T) dual carriageway. The site is highly visible from the M4 and lies adjacent to the high profile Baglan Energy Park. Services: We understand that the site benefits from a full range of services (mains water, gas, electricity and sewerage). Interested parties should however rely upon their own investigations with the relevent authorities. 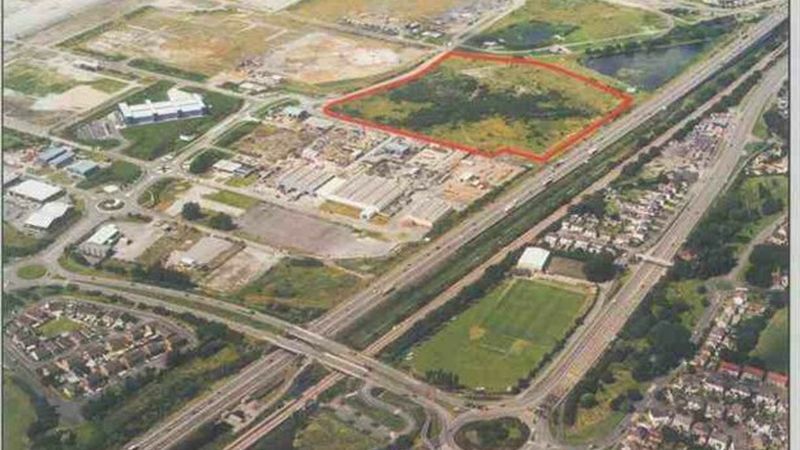 Planning: The site was granted consent for "Classes B1, B2 or B8 Light Industry, General Industry and Warehousing" by the local planning authority dated ay 1994. Terms: The site totals approx. 7.3 hectares (18 acres) and offers are invited for the whole or part.